On December 7, 1941, two days before her 35th birthday, Grace Murray Hopper, an associate professor of mathematics at Vassar College, was sitting in her study surrounded by books and a small radio when the attack on Pearl Harbor was announced. That changed everything, in America and for Hopper personally. 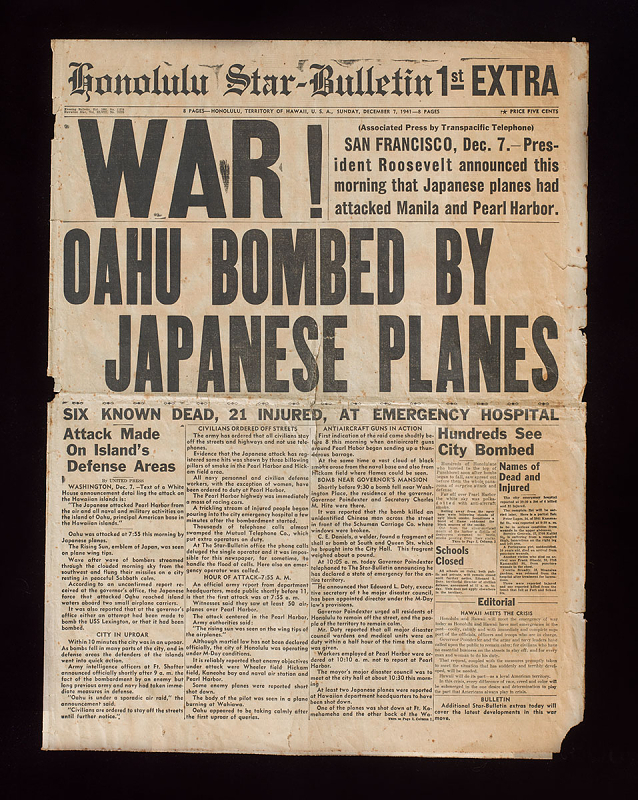 The Honolulu Star-Bulletin announces the attack on Pearl Harbor. "My brother and my husband and everyone wanted in," said Hopper, recalling in an interview with the National Museum of American History the hurry to enlist. Soon, "everyone" included Hopper herself. Hopper's desire to serve was a significant part of her path to become a pioneering computer programmer, and one of the nation's best-known mathematicians. That summer, she taught an accelerated training course at Barnard College for mathematicians in the war effort. "While I was at Barnard, the midshipmen from the training ship down at the river kept marching by that dormitory every day," Hopper said, "and the more they went by the more I wanted to be in the Navy also." Despite some fears that her services might be better used in teaching codebreaking to Vassar students, Hopper was granted permission to join the WAVES (Women Accepted for Volunteer Emergency Service). "I reported to midshipmen's school in April of '44 and right in the class with the students I'd just been teaching and the ones I had just taught and the ones that I was about to teach," she said. 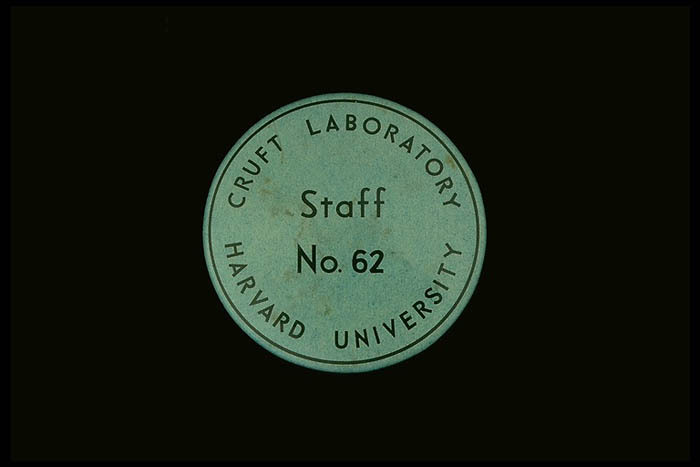 From there, Hopper went to the Cruft Laboratory at Harvard, where she began work on the Mark I computer. Mark I project director Howard Aiken greeted her, as Hopper recalled, with "Where have you been?" He had told the U.S. Navy to have Hopper skip midshipman school, so she could start right away. The Navy had other ideas. Aiken was eager for Hopper to get to work. Aiken asked, "Have you got a place to live?" When she said no, he said, "Well, get to work and you can get a place to live tomorrow." Then he showed her the Mark I computer. "All I could do was look at it," Hopper said. The room-sized Mark I arrived at Harvard in 1944, around the same time Hopper did. It was one of the first machines that could be programmed to carry out calculations automatically. 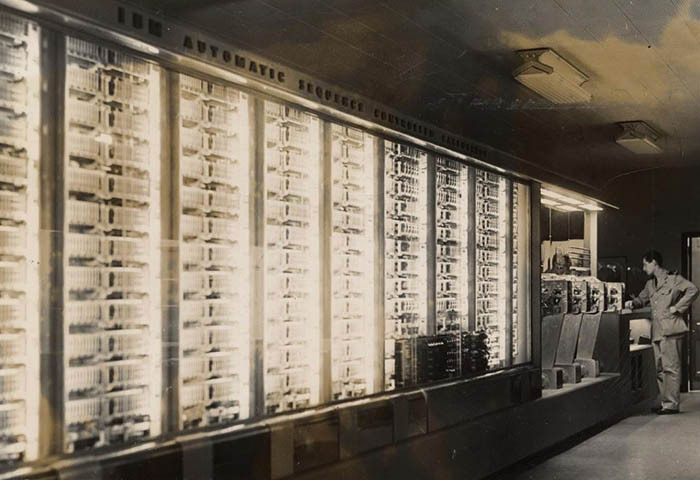 Aiken designed it to solve scientific problems, and IBM agreed to build it. 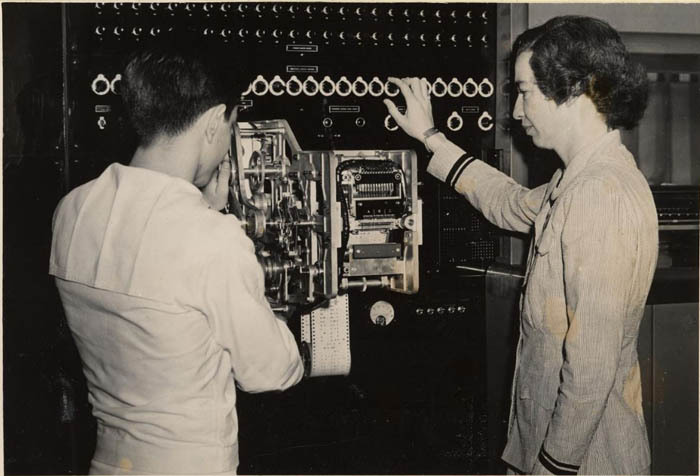 IBM donated the Mark I, also known as the Automatic Sequence Controlled Calculator or ASCC, to Harvard in 1944. One publication named the "Mathematical Robot" among the 10 most important scientific advancements of that year—along with penicillin, jet propulsion, the development of silicone, and the insecticide DDT. During World War II, Aiken joined the Navy—and so did the Mark I, tackling problem sets for the armed forces. Hopper and a colleague examine a sequence mechanism. Their work was carried out in military secrecy and the results were not widely shared—sometimes not even with the mathematicians working on the computer. "We did not know that we did some of the atomic energy computations until after the first atom bomb had been detonated," Hopper said. The hours were long, the codes had to be specially written for each machine, and the electromechanical circuits required constant attendance. "If we had a problem running, we were in there 24 hours a day, the number of days it was running," Hopper recalled. The hours didn't faze her. "It was fascinating. It was a hotbed of ideas and concepts and dreams and everything under the sun." If the ideas weren't enough to keep her going, Hopper's patriotism was. "It seems to be extremely difficult for the young people . . . to realize that this whole nation could be operating on just one idea . . . just win that war," Hopper said. "Get your job done, and make your contribution." Hopper's experience with the Mark I transformed her. She never returned to Vassar and spent the rest of her long life working with computers. Hopper was released from the Naval Reserve in 1946 but stayed on at Harvard until 1949. 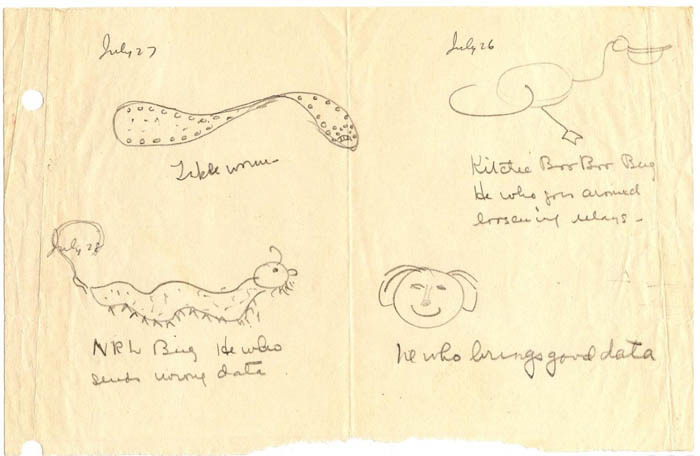 Hopper even drew cartoons for the different kinds of computer bugs she encountered. The term "bug" had been used to refer to interference in electrical circuits since the 1800s. One day in fall 1947, the Mark II (a successor to the Mark I) ceased to function. 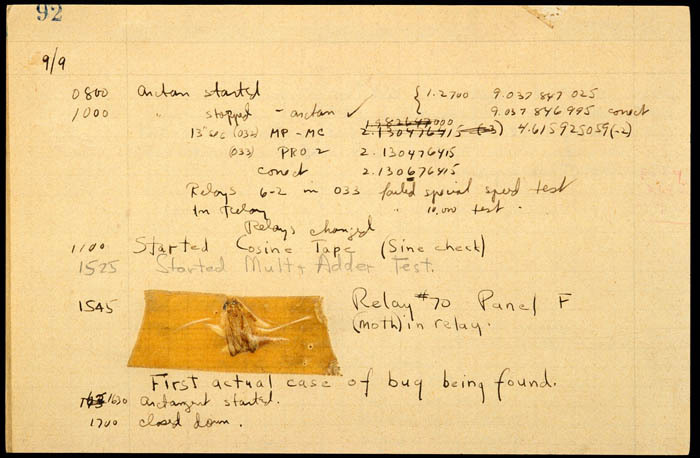 Engineers trying to resolve the problem found a moth in one of the relays. Tickled with the pun, the engineers carefully removed it and pasted it in the logbook for the machine, with the label "first actual case of bug being found." In 1949 Hopper took a position as a mathematician at the Eckert-Mauchly Computer Corporation, the first American manufacturer of commercial electronic computers. Eventually, she returned to the Navy. "In 1946 . . . the Navy turned me down for regular Navy. I was two years too old. It took me 20 years to win that one," Hopper said, "I kind of make a habit of winning." Today, Hopper is perhaps best remembered for her work with compilers—specifically her development of the programming language FLOW-MATIC, which was far closer to spoken language than its predecessors—and her championship of the later English-language business language COBOL. She remained in the Navy until 1986, when she retired (a rear admiral and the oldest officer on active duty in the U.S. Navy) at the age of 79. Peggy Aldrich Kidwell is curator of mathematics. She has also blogged about the math objects you may be able to spot in the movie Hidden Figures. Amelia Grabowski is a social media and blog assistant focusing on business and philanthropy history. 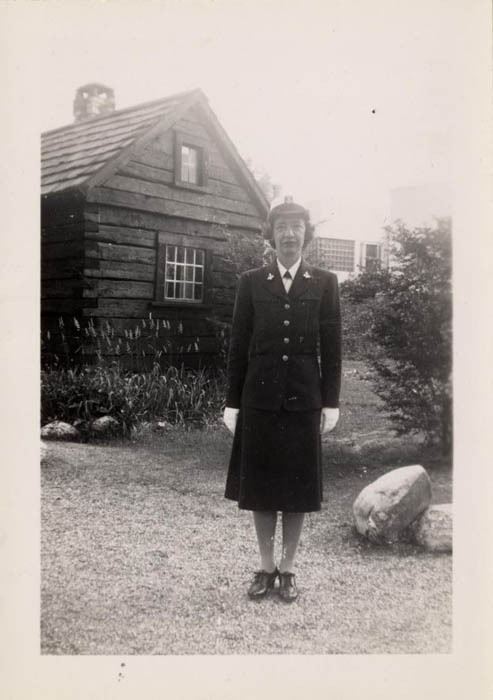 Learn more about Grace Hopper by exploring her papers housed in our Archives Center, or reading oral histories collected with her in July 1968 and July 1972.